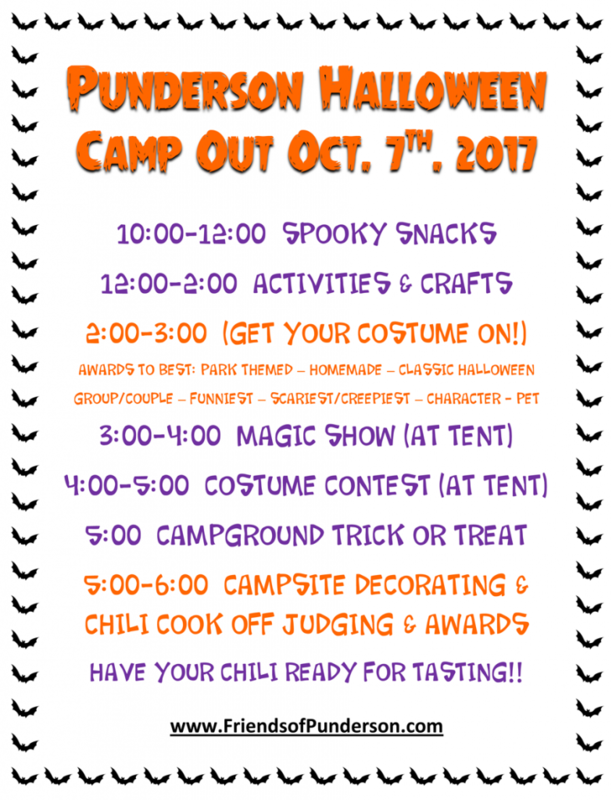 As this is one of Punderson’s favorite camper events we added a little bit more this year with a one hour magic show performed by Perfect Occasions Costumes and Magic located in Middlefield, OH – if you are looking for a costume, accessories, or a unique addition to your display feel free to stop by their new store location! The Costume Contest will take place immediately AFTER the magic show – you will have time BEFORE the magic show to get your costumes on, and we will be judging costumes during and shortly after the magic show at which time we will provide the first 100 children participants with a hand out, and announce the winners which will lead into the start of the campground trick or treat. Please see the CATEGORIES in the below flyer to help you with your costume selection – and don’t forget to dress up your pooch! We are also moving forward with our Chili Cook Off – for those of you who are there to relax, maybe watch whatever game is on that weekend, and don’t really care to participate in Halloween festivities this is your chance to shine! Cook up a pot of your favorite chili recipe and our judges will be around during the trick or treat to taste test. The winning chili will be announced after we have finished judging. 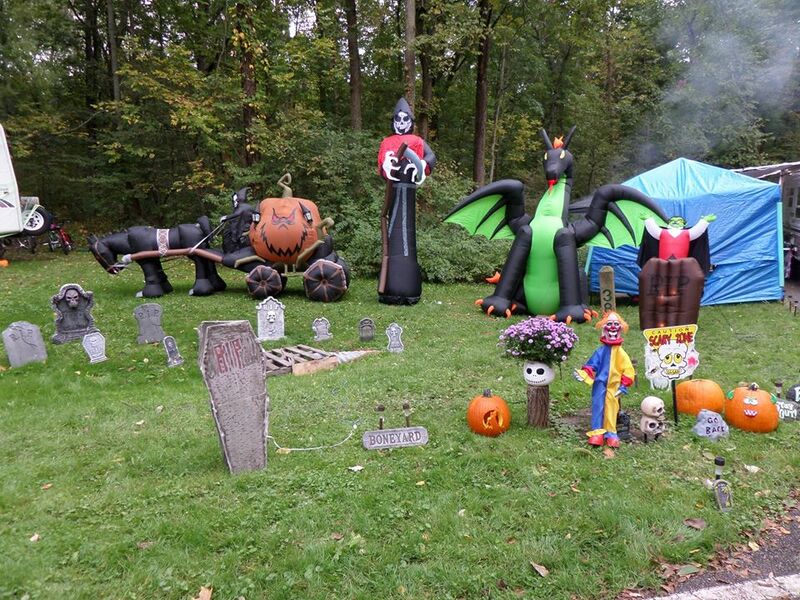 Also, as always we will have a campsite decorating contest also judged during the trick or treat! We will award the top three sites (please note our judges choices may be based on creativity, diversity, and overall display so we are not awarding places, simply the best three sites) and winners will receive a special prize!